According to Gartner, by 2020, IoT would be more than $25 billion industry. Businesses, be it start-ups, enterprises, SMEs or government organizations, are increasingly tapping IoT solutions to transform conventional practices and boost operational efficiency. Moreover, indulging in the production of actionable insights from an avalanche of information so that crucial decisions can be made at crucial times. The things are only going to get better with time. We, being a significant contributor to innovation domain, aim for creating IoT solutions that add value to businesses as well as to the end users. We, at Biz4Group, work closely with our clients to develop IoT applications that not only revolutionize the existing landscape but provide valuable insights to make their activities accomplished. 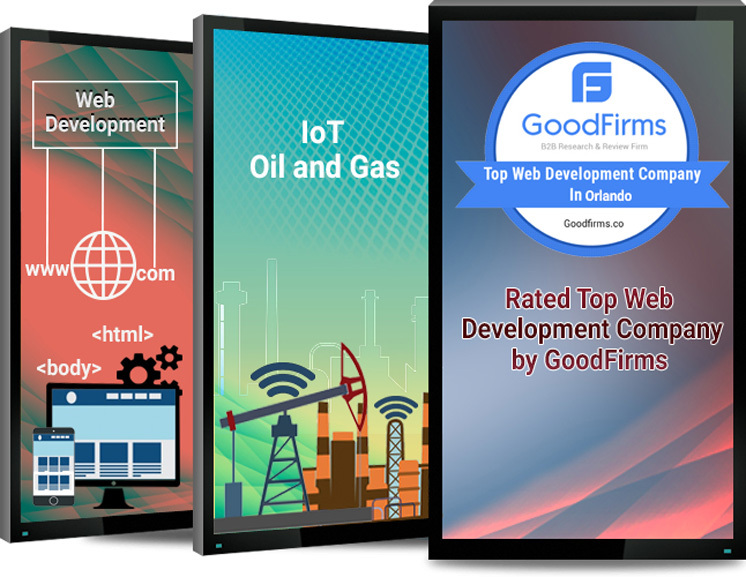 Our team of developers are adept at providing IOT app development services to clients hailing from different verticals like manufacturing, logistics, transportation, homes, retail, healthcare, hospitality and more. Get a chance to avail the best IoT development services by relying on Biz4Group which is ranked among Top IoT Development companies in the world & consists of a developers’ group that’s proactive, committed and has significant experience of IoT Application Development under their belt. We develop intelligent IoT solutions for businesses of all types and companies of varied sizes that lead to enriched customer experience and amplified productivity. As one of the top IoT solution providers We empower businesses to embark on their IoT journey with our simplified approach and ready-to-market IoT solutions. We assist in facilitating roadmap designing, value and ROI mapping, business modelling and solution blueprinting. We make a connected world that is just right for your business. Also, you’d not regret investing in IoT after a few years down the line. Our experienced bunch of developers that are specialized in IoT Application Development are committed to build an IoT solution that’s feasible in real-world and matches to your expectations and business needs. We hold significant hands-on experience in creating Enterprise IoT solutions for clients operating in different verticals including, automotive, healthcare, transportation, entertainment manufacturing and more. Data produced by the web of connected devices is immense. It demands high-quality analysts to extract valuable information from the deluge of data sets. We, at Biz4Group, build IoT solutions with integrated analytics that produce real-time insights that’s helpful for enriched user experience and engagement. Above all, the insights help in the process and productivity optimisation. The bundles of data produced by the connected devices require space to get stored potentially for analysis. Our technically-sound developers help you integrate cloud technology for optimised use wherever you are. Our IoT solutions offload primary servers to clouds for effective communication between the devices offering a seamless experience to the end users. Guarding your IoT solutions is more important than ever. Being market leaders among IoT solution providers we ensure that IoT solutions are developed only after the establishment of global security standards. Huge data production creates vulnerabilities and hence we perform actions like audits and assessments, incident response & recovery risk assessment so that system remains secured just like inside a cocoon. At Biz4Group, we produce industrial IOT applications & solutions based on your business requirements and feasibility scheme. Having involved in creating this world a smarter place, we have worked for clients from different industries, healthcare, real estate, entertainment, travel and hospitality, logistics, food and restaurant, finance, retail, manufacturing and more. Our expert IoT consulting makes the picture clearer for you in your niche of services. No slacks, no delays, we promise to deliver IoT solutions in time, every time. We integrate freshly-prepared IoT solutions into existing procedures seamlessly.